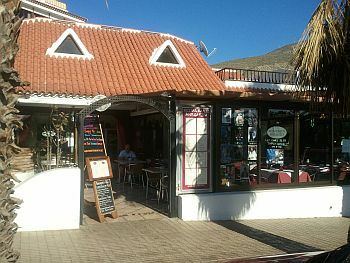 Situated a short way up the hill behind Los Cristianos and occupying a spacious corner plot, this British-owned restaurant and entertainment venue offers a superb dining experience, coupled with the best in Tenerife cabaret acts. Occupying this spot for a good few years, it went through a black spot at the start of the new millennium and was closed for 24 months. 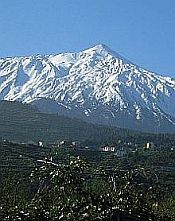 Eventually, in 2010, it was taken over by husband and wife team, Eddie and Ali and became a very successful, family run establishment, catering primarily for Brits, but with an international staff and serving Spanish, Canarian and Italian dishes, as well as British fare. Its appearance from the outside is deceptive - in terms of its size. Not only is there a spacious, private outside terrace area, the venue offers a similarly spacious inside restaurant space, plus a chill-out bar area and an upstairs terrace balcony! The restaurant offers breakfasts, lunches and dinners. The breakfast option is both full English and continental. Snacks and light meals are available throughout the day. Come the evening, the full menu is on offer, with such mouthwatering specialities as shoulder or leg of lamb, slow cooked in red wine, honey and oregano, swordfish pappillot (white wine, leeks and tomato),secreto Iberica (pork fillet stuffed with chorizo and soft cheese) - the list goes on. As if this wasn't enough, the outside terrace contains a large brick barbecue and you can choose to have your steak, sausage or chicken cooked in this manner. The smells wafting from this have been known to entice passers-by into the restaurant - a clever touch! There is also a children's menu and, if you order a dish from it, your offspring gets a free scoop of ice cream for dessert. It was about a year after he took over the restaurant that Eddie decided to introduce live entertainment into the mix. By this time, he and Ali had built up a good clientele, consisting of residents and returning holidaymakers, so his acts were always assured of a ready-made audience. A different act appears every night and the entertainment begins at 9pm, carrying on till midnight. As he is in charge of the entertainment, Eddie always assures that only the best Tenerife acts are featured. To find this restaurant, start from the mini roundabout not far from the Arona Gran Hotel. Walk up the hill away from the sea, up to the big roundabout. Go left here and you'll eventually come to it, on your right.